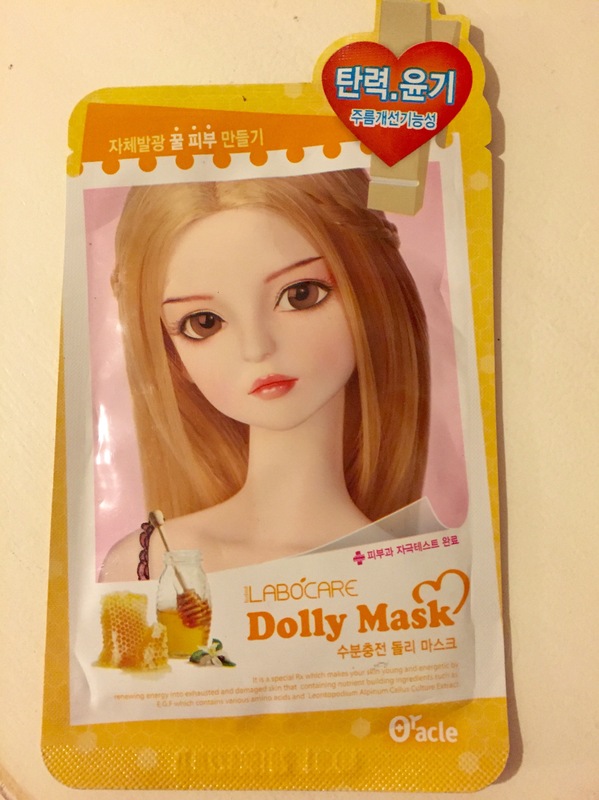 From the never ending Taipei stash comes this sheet mask branded with a doll with the creepiest empty stare. I guess it’s supposed to be a good thing to look like an angry….doll? 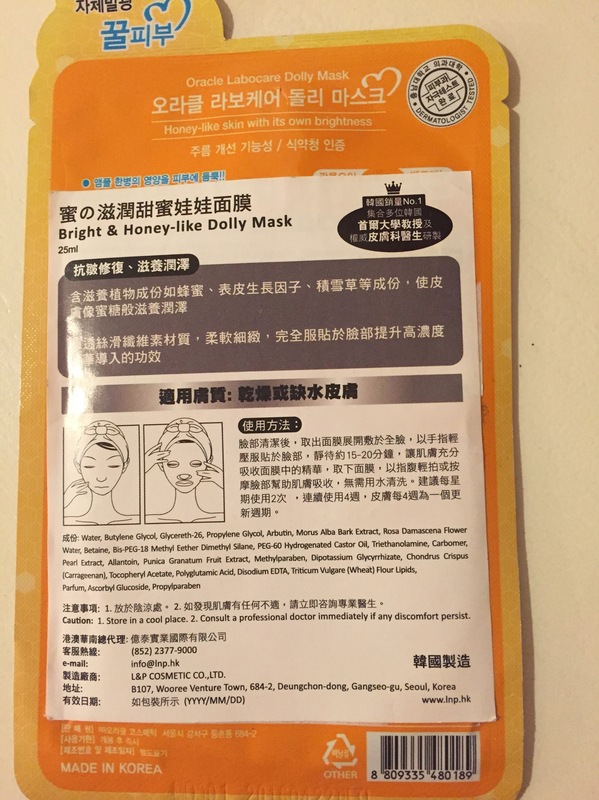 The ingredients are nothing out of the ordinary for these types of sheet masks. They were about $1 each so they were fun impulse buys. I have never seen them in the U.S. so there’s the rarity factor that appeals to me. The extracts contain NO HONEY. I love that the label says “honey-like.” At least they’re honest. The sheet itself is not too thick, not too thin. It’s soaked in an adequate amount of serum. However there’s not much leftover after you take the sheet out to save for a second use. It’s ok because it’s a nice mask but I don’t see a HUGE difference. There’s a slight tingling around my nose bridge but I’m not sure if it’s the mask actually doing anything. That’s funny because I know what doll that is and what company makes it. Kinda going against copyright there lol. It’s a Dream of Doll Shall, and one time I really wanted this doll haha. Too bad the mask is only “honey-like” lol. haha, that’s pretty funny that they wrote “honey like”! But, hey – at least they’re being honest! And also, its very inexpensive!